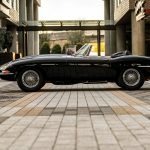 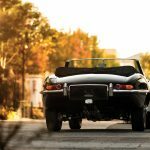 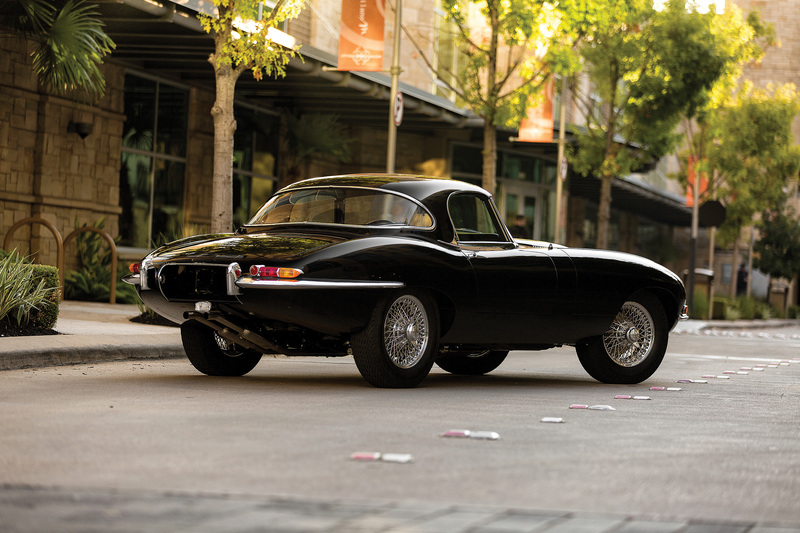 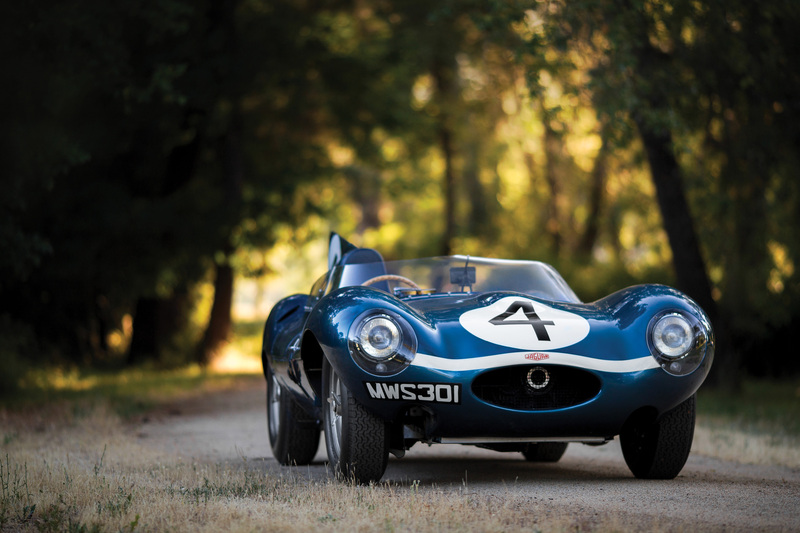 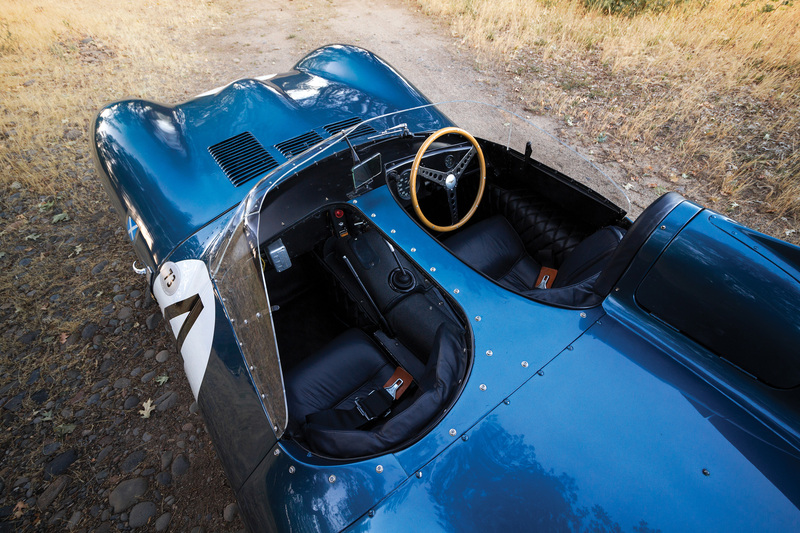 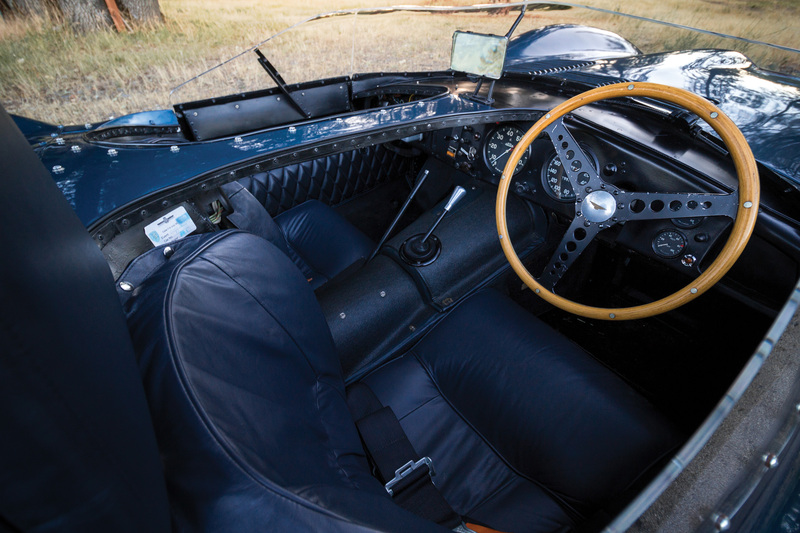 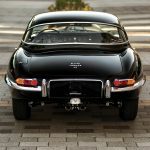 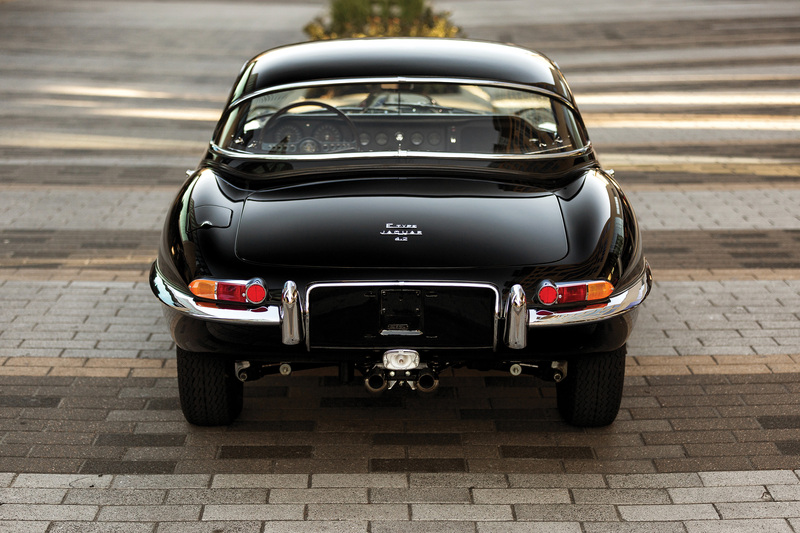 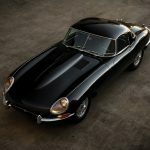 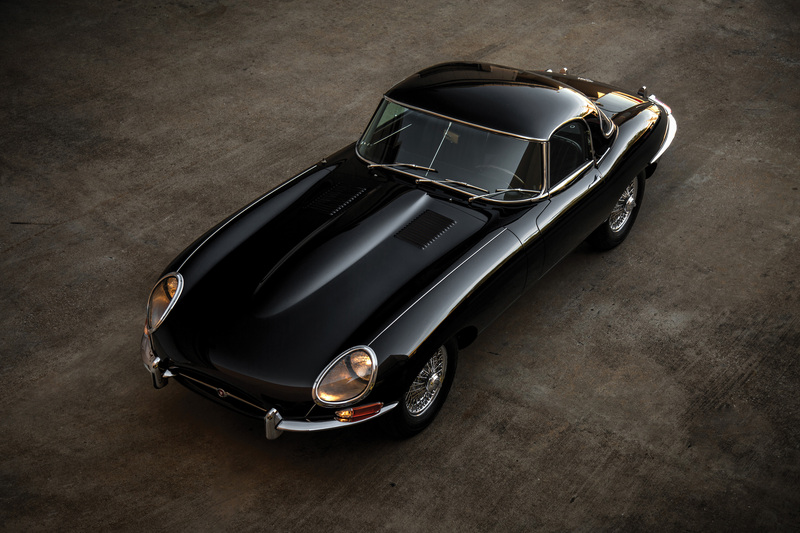 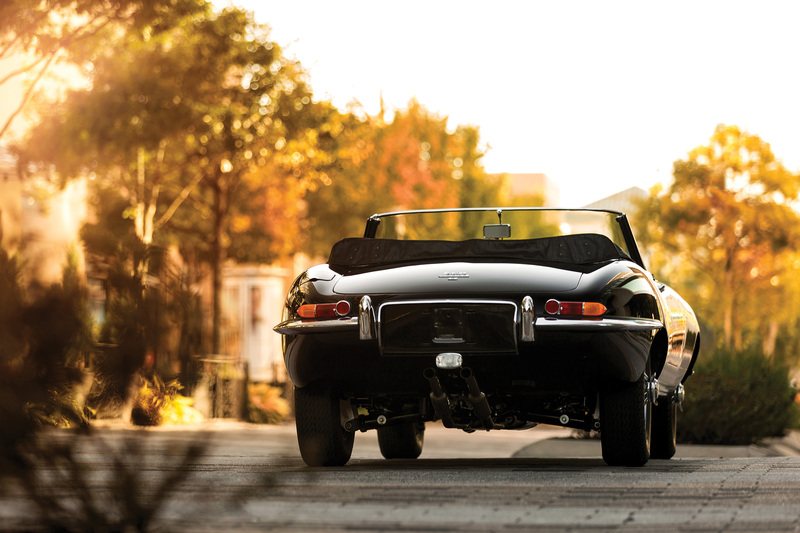 UPDATE: Sold for $13,750,000 – a new auction benchmark for an American automobile. 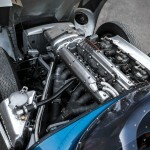 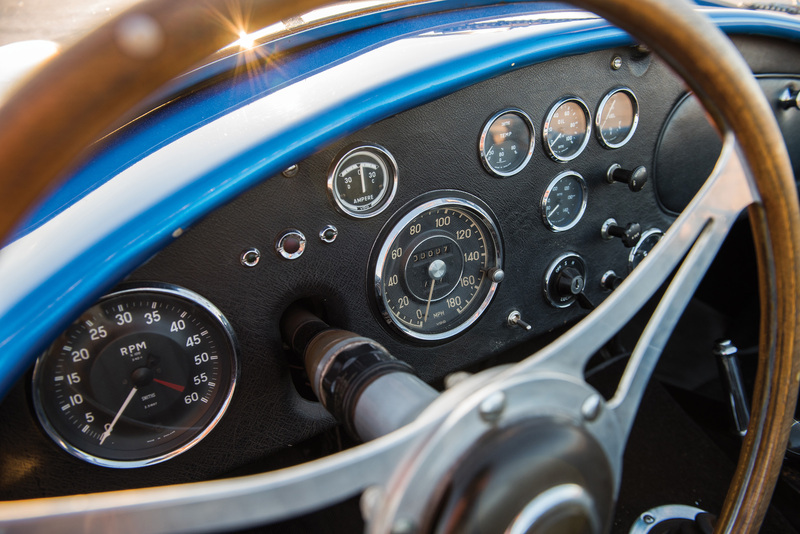 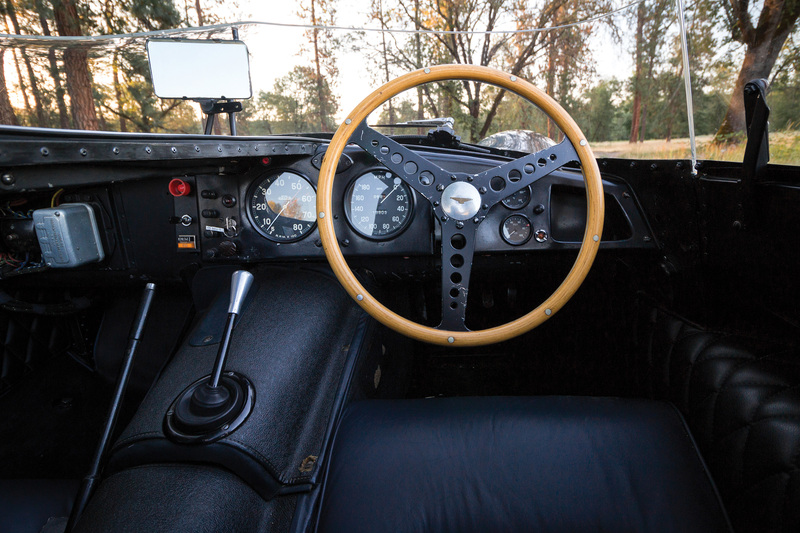 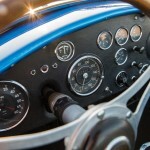 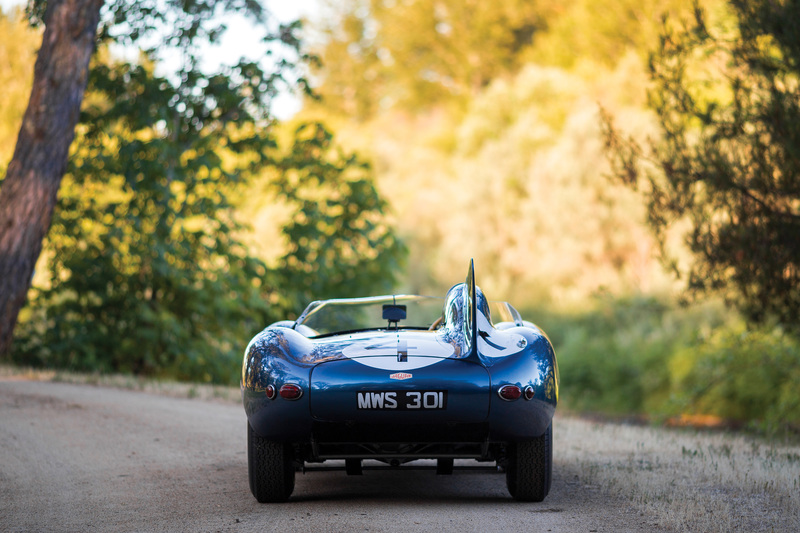 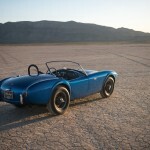 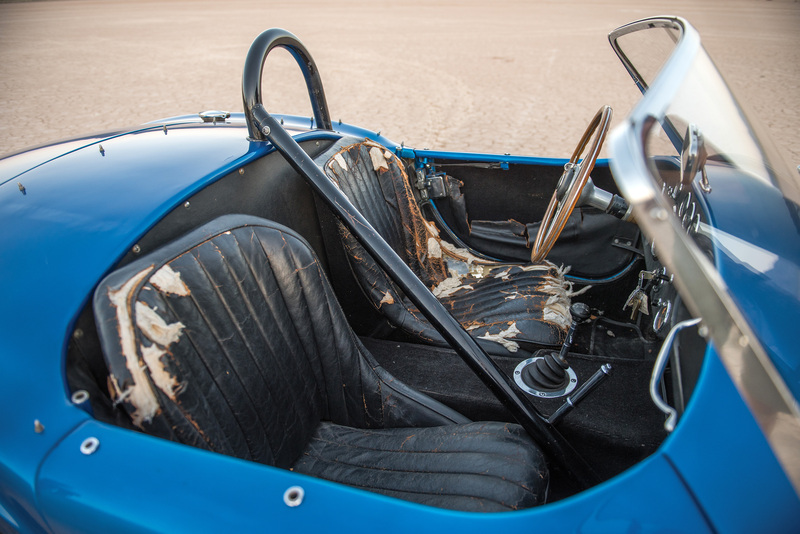 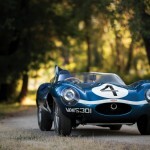 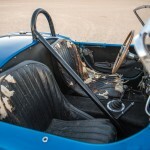 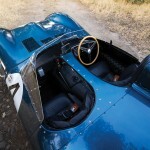 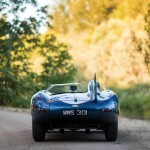 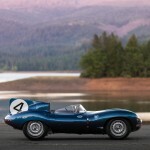 Today RMSotheby’s anounced the AC/Shelby Cobra prototype for their upcoming auction in Monterey. 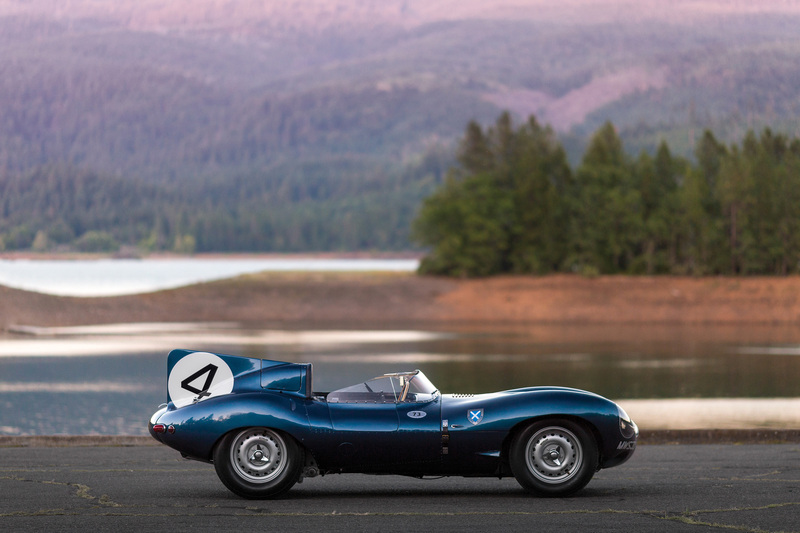 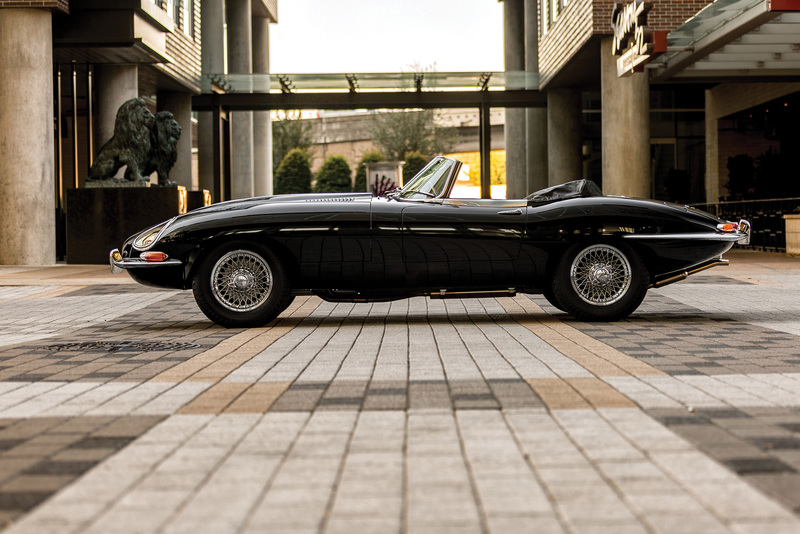 What they call “the most important modern American car” is actually British. 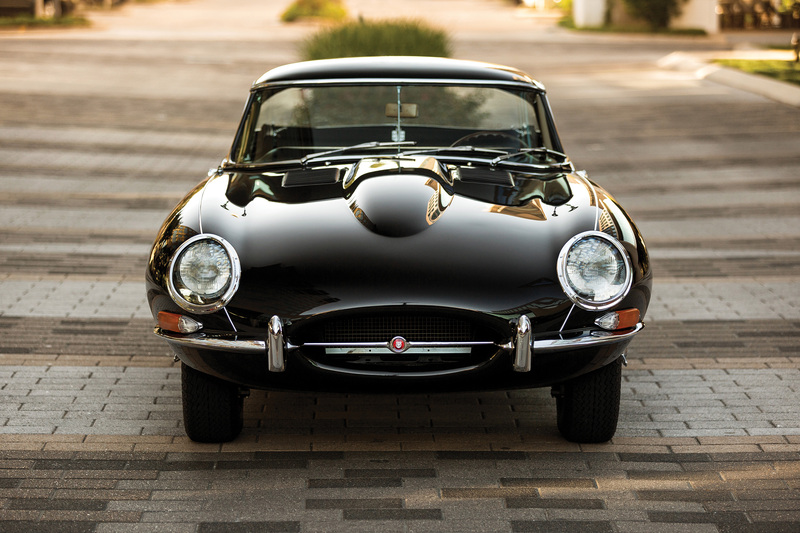 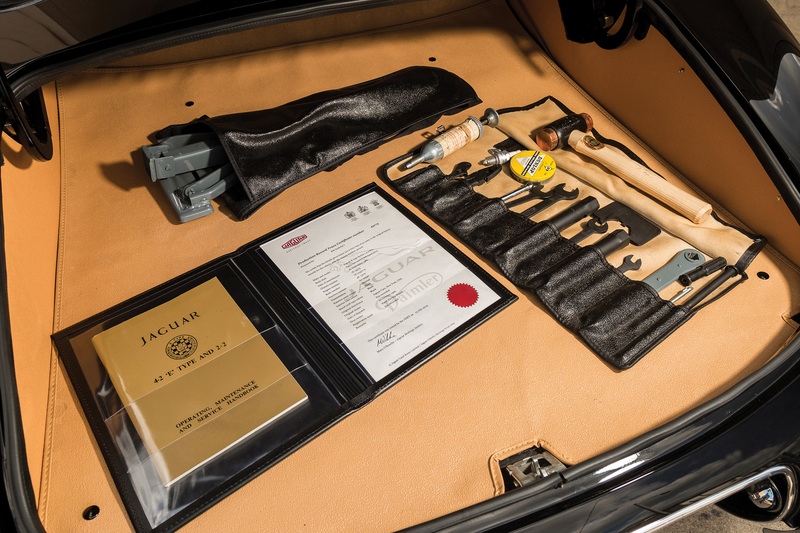 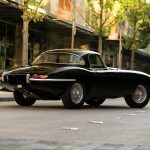 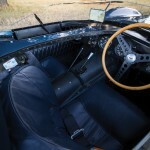 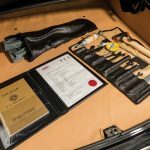 That’s because this prototype was assembled by AC Cars in Thames Ditton, England. 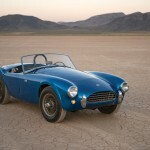 In fact the front badge gives equal credit to both AC Cars and Shelby! 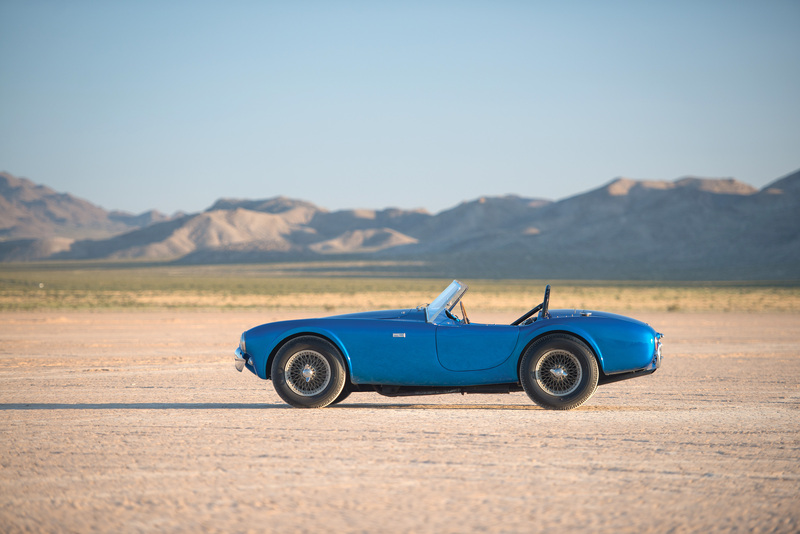 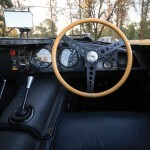 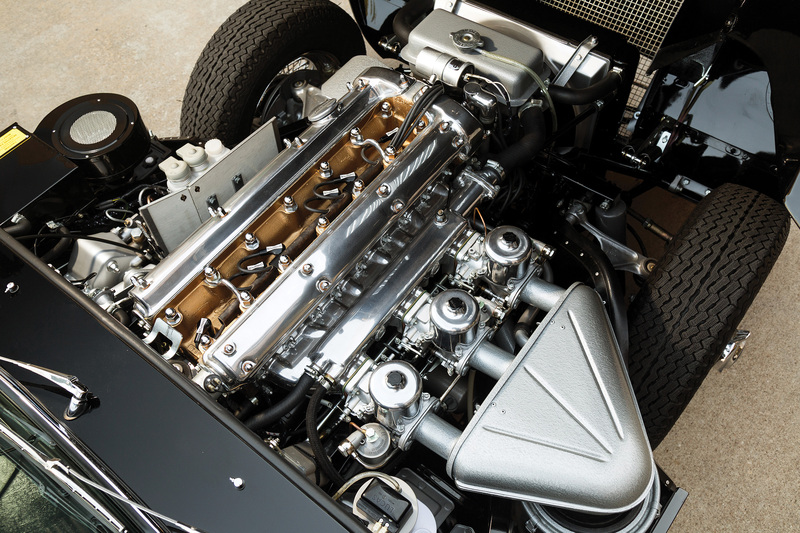 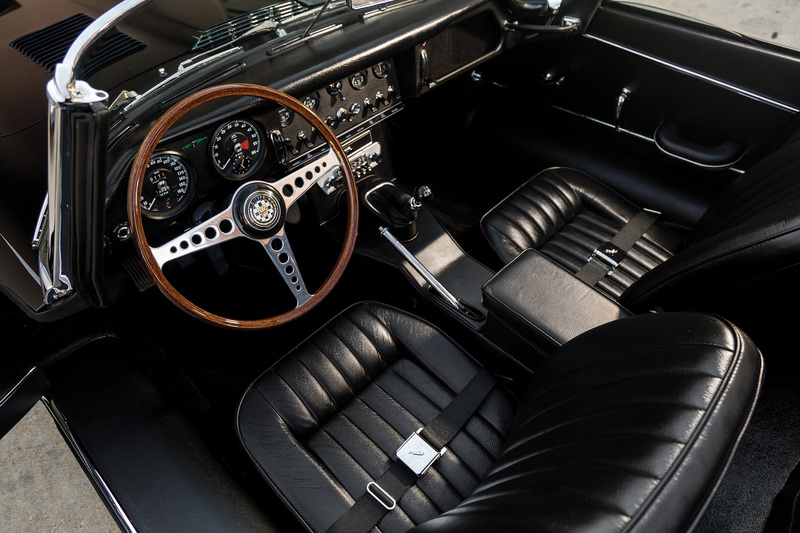 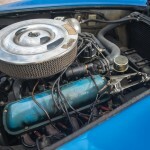 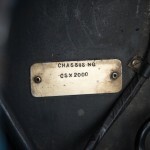 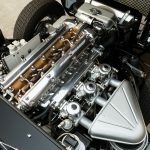 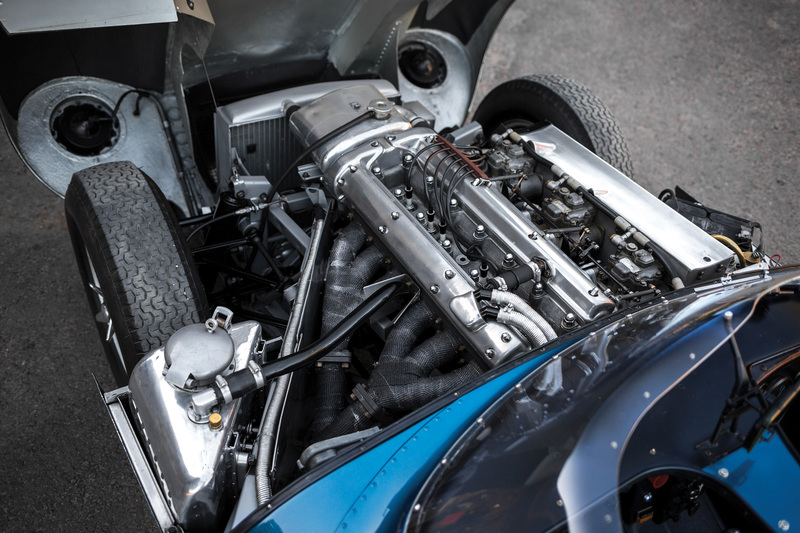 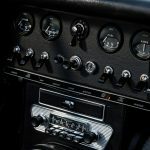 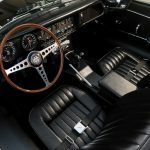 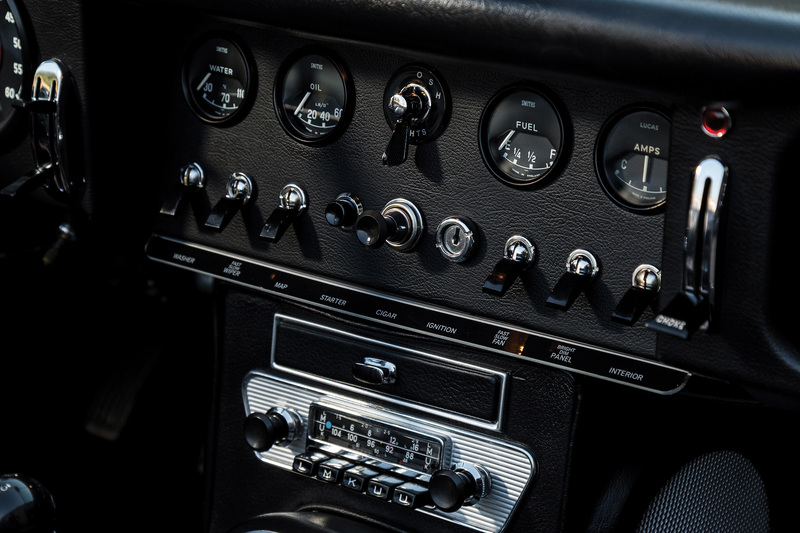 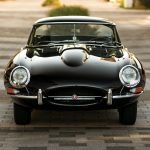 Putting an American V8 in a well-used european chassis such as a Ferrari or Maserati was common in 1960s racing, but Shelby was the first to market a working a sports car with official factory backing. 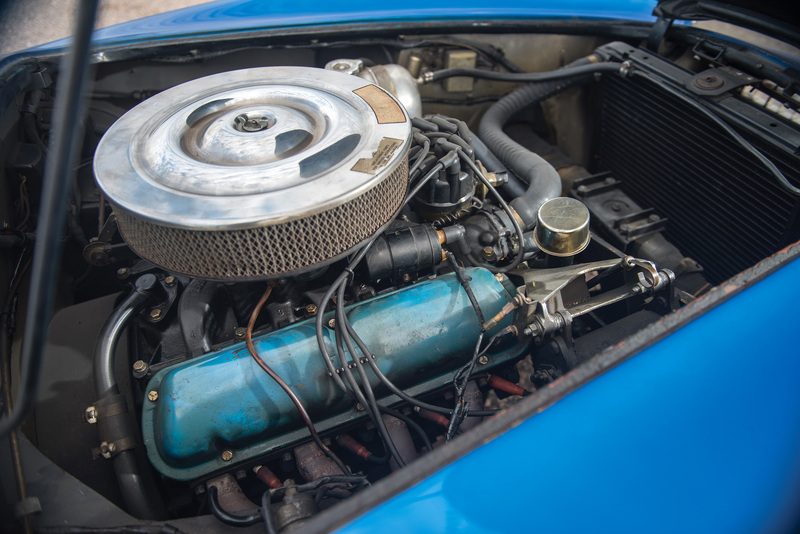 Furthermore, many of the V8-powered specials in SCCA racing had achieved success alongside more expensive European marques. 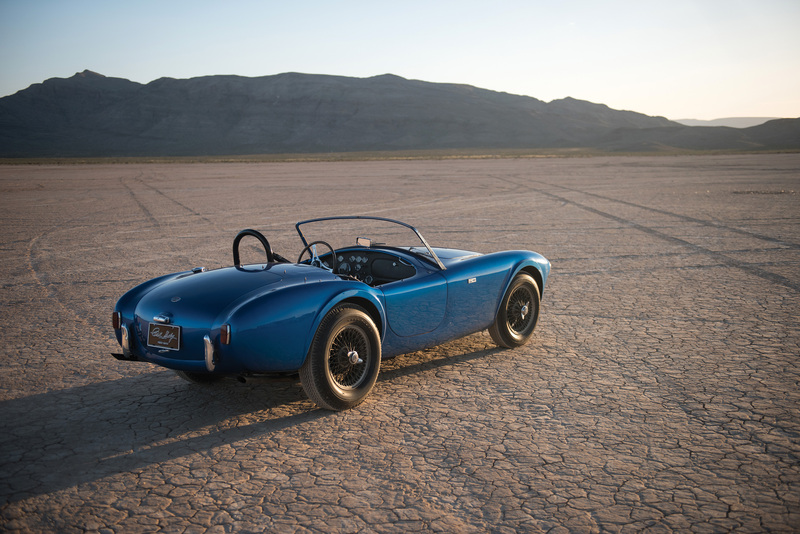 With the Cobra, Shelby saw a new opportunity. 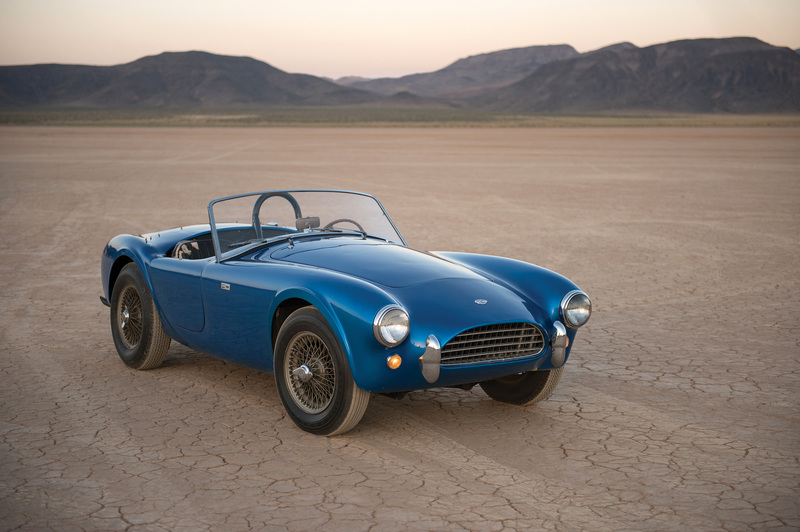 After Shelby’s visit to Thames Ditton, AC Cars agreed to ship a modified version of their AC Ace to America without an engine. 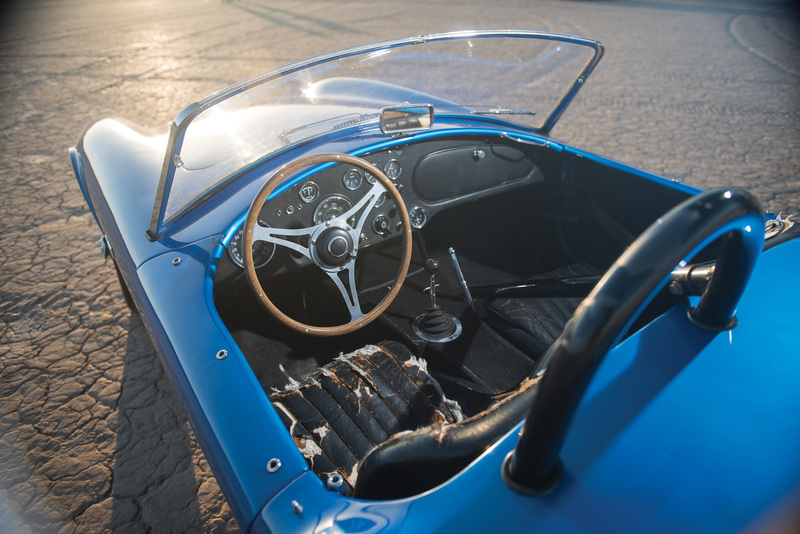 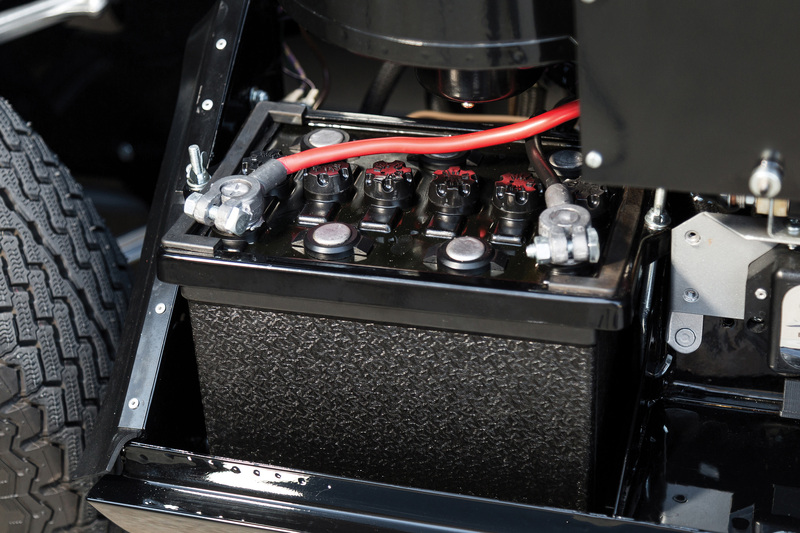 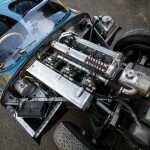 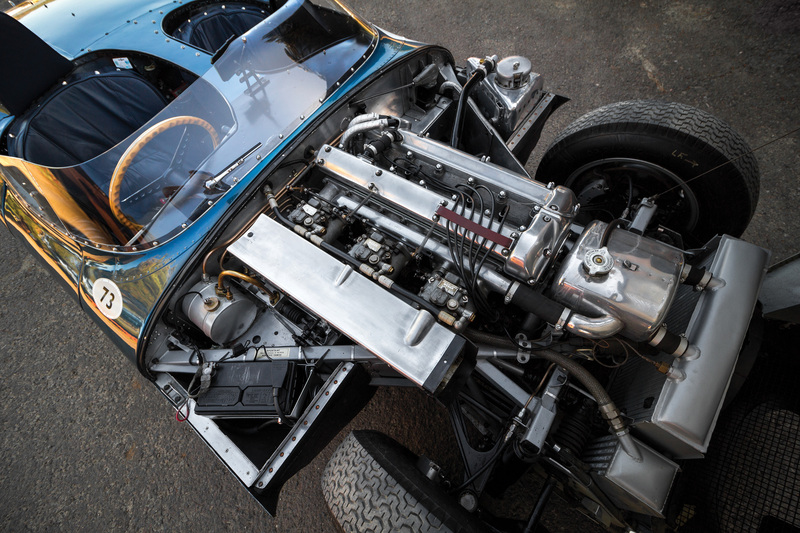 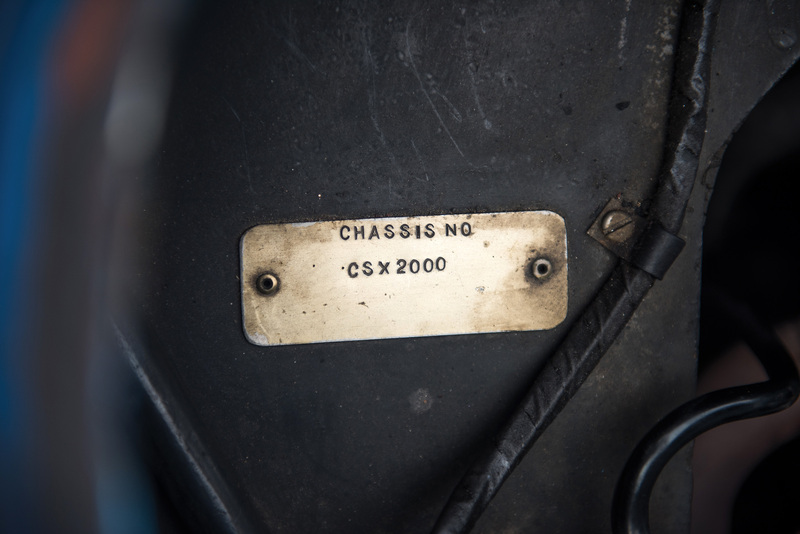 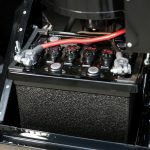 All the initial development of the chassis was done by AC who fitted the first prototype with the 221 in³ Ford V8. 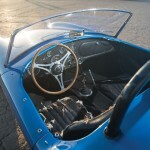 Like the production cars to the follow, this first car was eventually shipped to America, engineless.